I adored Paddington Bear as a child – and still do. There’s something incredibly endearing about the marmalade sandwich-eating bear with the duffel coat and bush hat who arrived as a stowaway from Lima and ended up living with Mr and Mrs Brown at No. 32 Windsor Gardens. 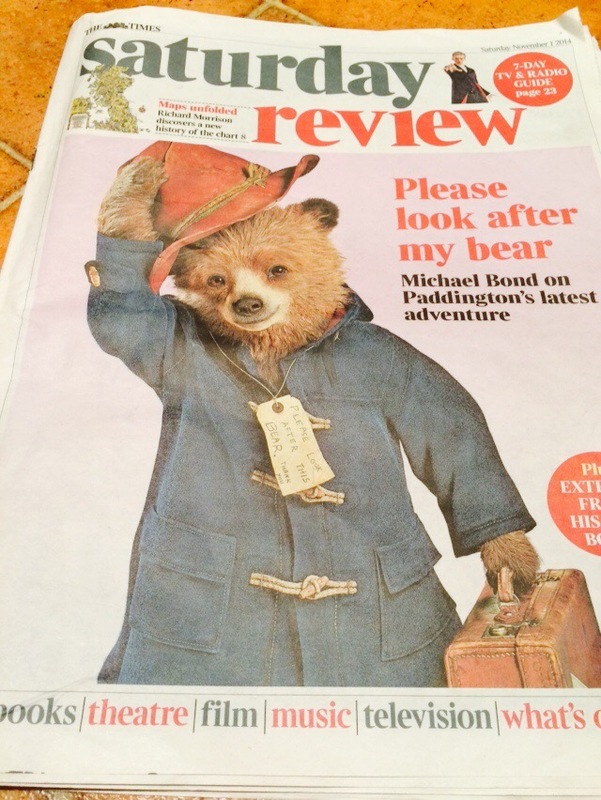 So I was delighted to read in the weekend papers that Paddington will hit the big screen in a feature-length film (opening in Britain on 28thNovember) starring Hugh Bonneville (Lord Grantham in Downton Abbey), Jim Broadbent, Nicole Kidman and a CGI bear voiced by Ben Whishaw. It opens in the US on Christmas Day so I am hoping that the same goes for Australia. But the excitement doesn’t end there. Paddington’s author Michael Bond, who is now 88, has written a new book which comes out on Thursday. Titled Love from Paddington, it’s a series of letters penned by the bear to his Aunt Lucy in Lima. Interviewed on the eve of the film’s release Bond explains that Paddington came about in 1957 at Christmas time when he was searching for a present for his wife. It was snowing and so he went into Selfridges to shelter and found himself in the toy department. There was one lone bear sitting on the shelf so he bought it. The rest is history: apart from the Paddington books which have sold more than 35 million copies worldwide and been translated into 40 languages, there are soft toys and other Paddington merchandise, a bronze statue of the Peruvian bear at Paddington Station, and from 4th November 50 different representations of Paddington will be dotted around London. Each one has been designed by a celebrity and is part of a fundraising effort to support Action Medical Research, the NSPCC (National Society for the Prevention of Cruelty to Children) and Childline with many of the creations due to be auctioned by Christies in December. Visit London have created a Paddington Bear trail and some of the sites include Selfridges (The Golden Paddington), a Rolls-Royce Paddington in Berkeley Square and Sherlock Bear (designed by Benedict Cumberbatch) at the Museum of London. 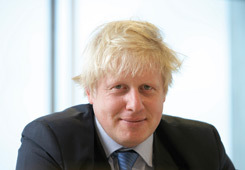 The capital’s mayor Boris Johnston has chosen a bear decorated with iconic London scenes, a nod to the author with a Tube sign saying Bond Street, and, perhaps unsurprisingly,a blond tousle-haired figure riding a Boris bike. But precise locations of most of the bears are not being published as it’s a treasure hunt designed to get people involved and raise funds and awareness for the charities involved. I’m off to London to stay with my sister next weekend. I don’t know what she has planned but I might just have to weave in a bear hunt! And I’m even a little tempted to have a go at writing a children’s book.